This comprehensive guide / handbook is aimed at the motorcyclist who has decided to start touring and camping, or the old timer who wants a read and a re-fresh. It provides practicle informationand guidance spread over several sections including: bikes - bike modifications - luggage - clothing - packing - riding in europe - documentation - camping - navigation - planning - plus several others. The guide should provide a firm foundation on which any biker can gear up for touring, camping and European travel. 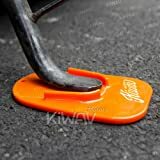 How to Become a Better Long-Distance Motorcycle Rider? Start reading Adventures on a Motorcycle - gearing up for touring & cam... on your Kindle in under a minute. 5.0 out of 5 starsa great read and useful information, a down to earth honest book, a book for a average rider with a decent average motorcycle. 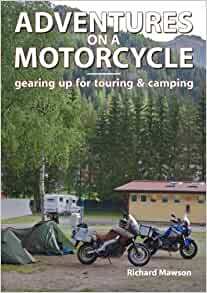 This book covers everything you need to know about touring on a motorcycle, the pros and cons on items needed or not needed, gives a balanced view on everything you need or want, makes you press ahead with your first or experienced motorcycle tour! !, gives you ideas on either touring the UK or Europe, let's you decide which you want to try. I am planning a trip to France in September and wanted a book that took me through the requirements and the equipment I would need. This book does exactly that. It is clearly laid out, up to date and gives examples of equipment across a wide price band. The layout allows the reader to skip the sections that are of no interest (cooking equipment for us) but goes into enough detail to allow you to make informed decisions about what to take and what you don't need. If you are planning your first motorcycle tour or your first one didn't go so well, then this book should help. If there were more colour photographs it would have got 5 stars.